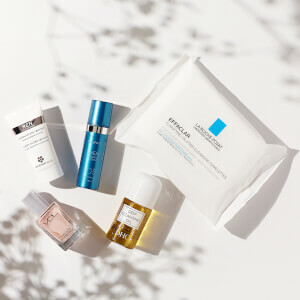 Give under-eye aging the one-two punch. Dr Dennis Gross Skincare Ferulic + Retinol Triple Correction Eye Serum reduces all signs of aging, both under and around the eyes. It combats fine lines and wrinkles, dark circles and sagging skin in one step. The dynamic combination of retinol and ferulic acid achieves transformative tone, texture and anti-aging results. Makeup applies more smoothly to the area and lasts longer. Ideal for those with aging under eyes. Gently smooth serum beneath and around the eye along the orbital bone, then over the eyelid from lash line to brow bone. Use daily, AM and/or PM. For best results, use consistently after the Alpha Beta Peel (sold separately) and follow with moisturizing sunscreen. 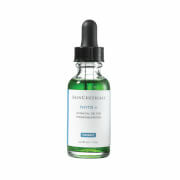 Ferulic Acid fights sun damage. Retinol exfoliates. 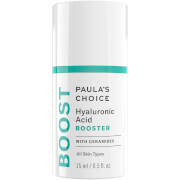 Azelaic Amino Acid fades hyperpigmentation. I have very sensitive, aging skin. Every other eye cream I have tried to use at night makes my eyes all puffy in the morning. This one never does. Pricey but you only need a little bit under eye and even on lids. Highly recommend. 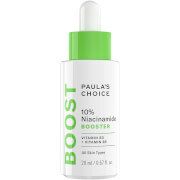 This is a great serum for reducing dark circles. I love it. I do find I need a little extra moisture over it in the winter time though. I use this serum with the eye cream from another brand. Works wonders. I would highly recommend this product! I have been using this product for last 2 yrs. I will not say it is the best eye cream but it is good and has a lot of beneficial ingredients. i've been using this eye serum for about a month. Purchased it to help with mild eye crepiness. Seems to be doing the job thus far, though I get the same result from applying a facial moisturizer around the eye area. Will have to see what the long term results are before purchasing again. This is my second bottle. The most recent purchase was through SkinCareRx. I took advantage of the discount special. I like this eye serum a lot. Great light texture and dries quickly. Does not pill with concealer application. Good for day and nighttime use. One of a kind product! I love the fact that you can use this on your eye lids. Very few products recommend use on the eye lids since the skin is very delicate. This does not irritate my eyes at all. It is absolutely wonderful and a definite must try from Dennis Gross. Goes on smooth.....great primer. Eye makeup goes on nicely. I really like this product for the summer. It brightens and firms my eye area. I like that I can dab it on my eye lids as well. It's a serum so I would add a moisturizer on top for longer lasting hydration.